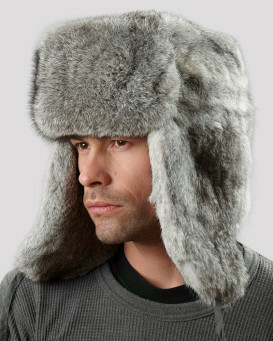 Larger sizes available in Men's Sizing"
The Moscow Full Fur Rabbit Ladies Russian Hat in Grey. 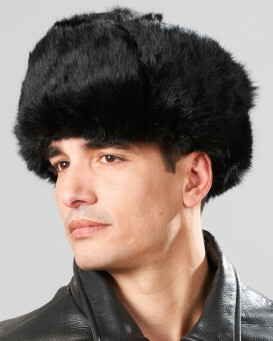 Premium quality natural gray rabbit fur Russian hat with full fur exterior. 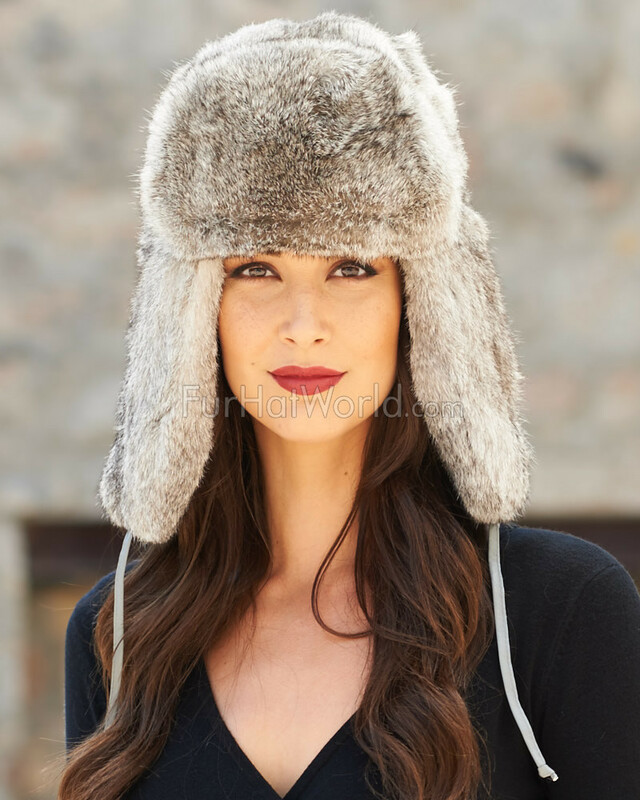 This ladies Russian hat is completely covered with soft genuine rabbit fur, including fur ear flaps. 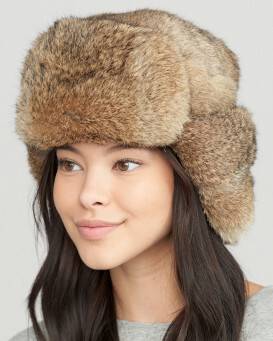 The ear flaps can be worn down for extra warmth or you can fold them up and tie them at the top. Quilt lined interior for comfort. Great for icy cold winter weather. 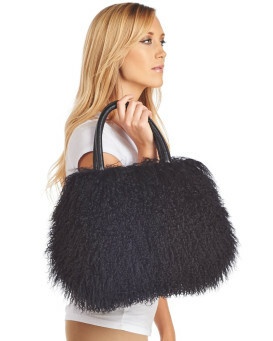 Made with top quality rabbit fur. 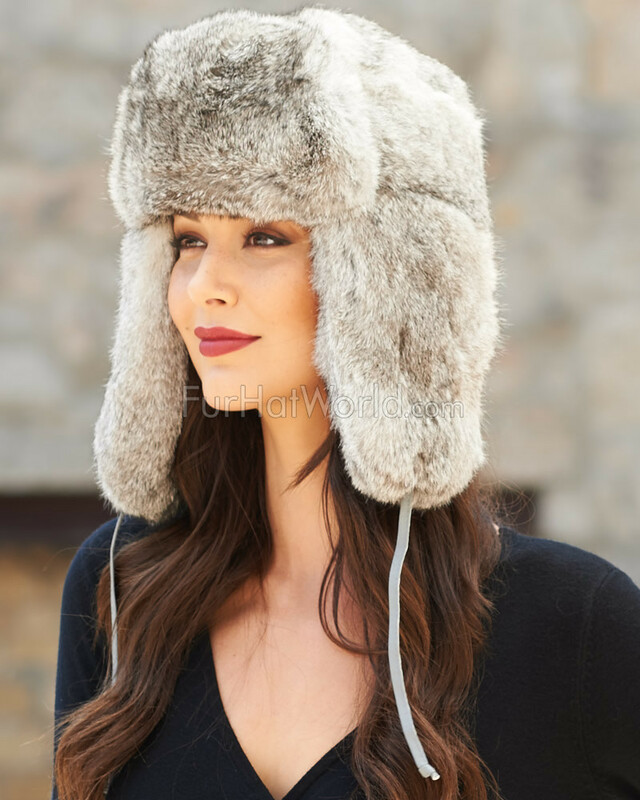 "Very warm and beautiful hat. Fits true to size." "My hat arrived and I couldn't be more pleased. IT is beautiful and warm. Thank you Fur HAt World." 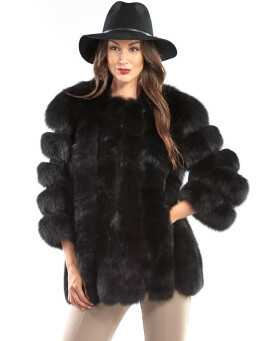 "I really love it, the fur is so soft and the quality is great!!! 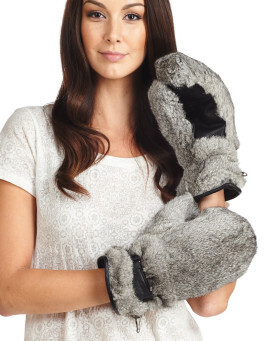 I will be getting another one and the mittens soon. Love this store, always great ." 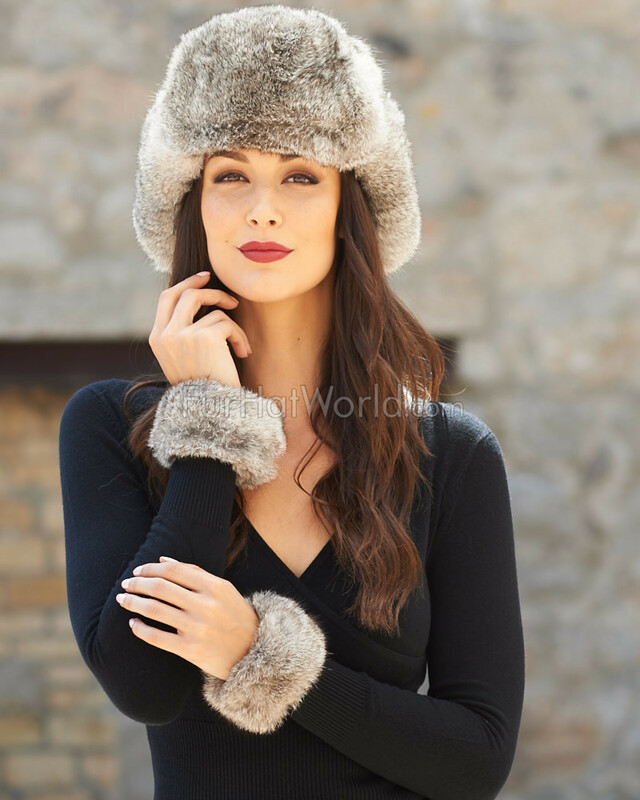 "Beautiful hat very pleased with quality and size and customer services very good I’m sure I will soon find something else to purchase thankyou"
"This is my 3rd hat, I stay warm,I like the look,I get my hat quicker then I expected,& I always get the where did you get that hat question! 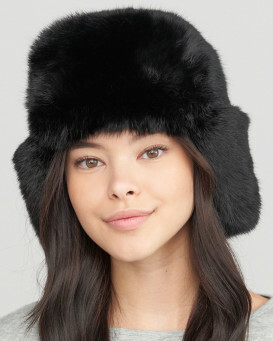 Love fur hat world!" "Very nice quality. Fits very tru to head measurements- i have a very small head and the small fits snug- i considered returning it for a medium, but the small fits great. I am very happy with the purchase, and I am a very picky person."